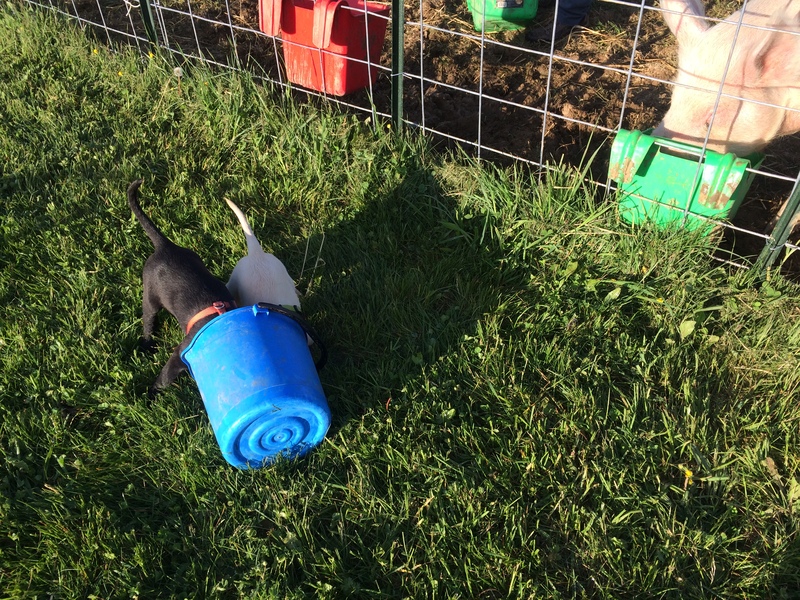 The puppies have taken to the pig. Wait. Not true. 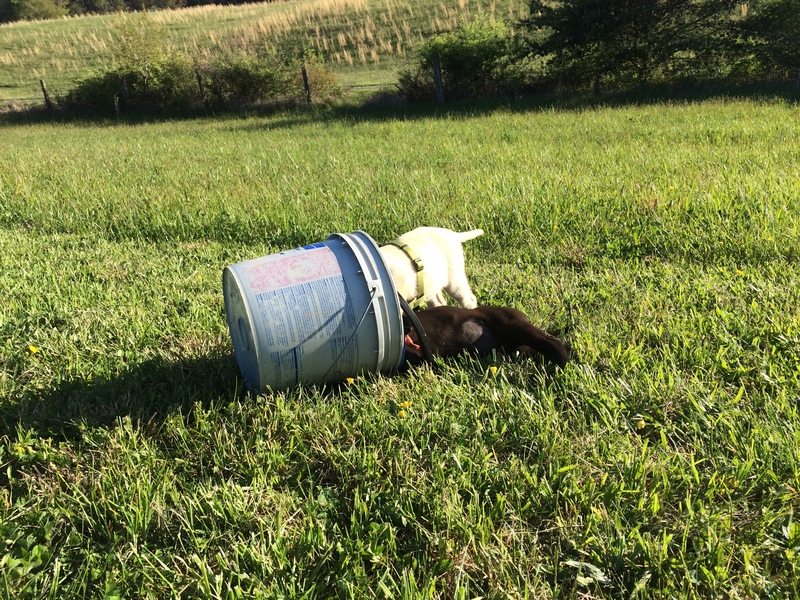 The puppies have taken to the pig’s FOOD. Hey. There’s a pig next to you! 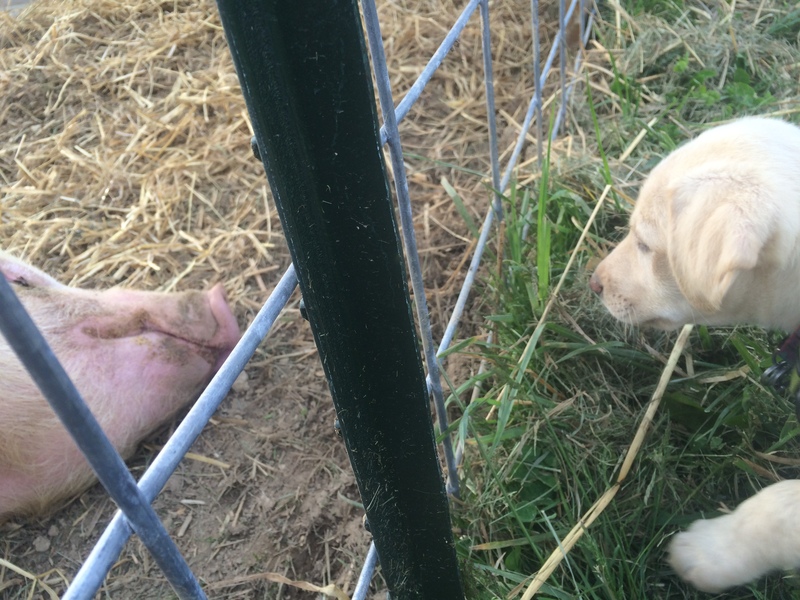 But Wilbur seems unfazed by the little yappy things (he truly is some pig). 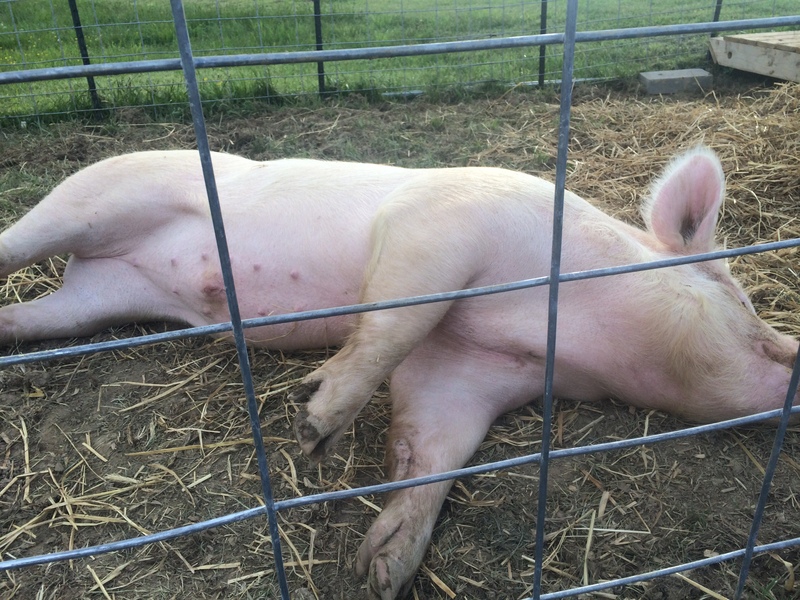 In fact, he still insists upon his daily belly rub despite the fact that I have to provide it through the fence instead of sitting right beside him….otherwise the hooligans come right on in the pen too (small enough to squeeze through the fence squares). It’s time for my evening rub!!! Hey! There’s a pig in front of me.